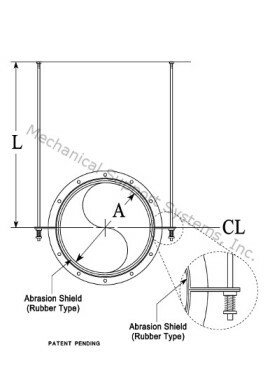 Suspended with Isolation Straight Support Product No. 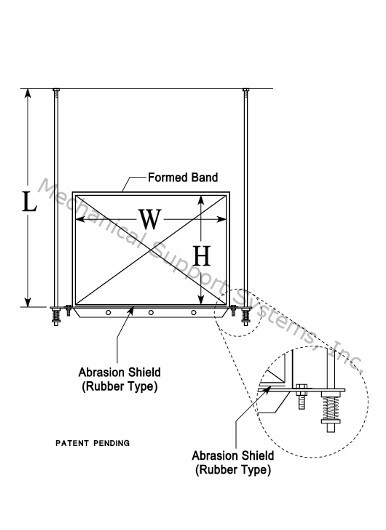 201-SI | Mechanical Support Systems, Inc.
Widths are manufactured in 4”, 6” or 8”. Metal thickness varies from .1345” to .5” depending on loads. 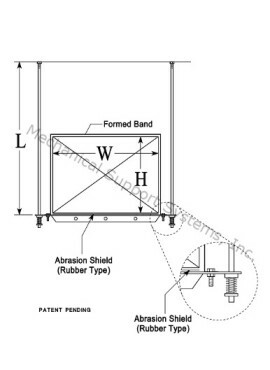 Support manufactured with retaining cup for spring isolation. Comes with a formed band constructed of 16 ga. galvanized steel designed to retain the duct in place without the use of penetrating screws. Horizontal straight support is connected with Grade 5 zinc plated nuts and bolts.